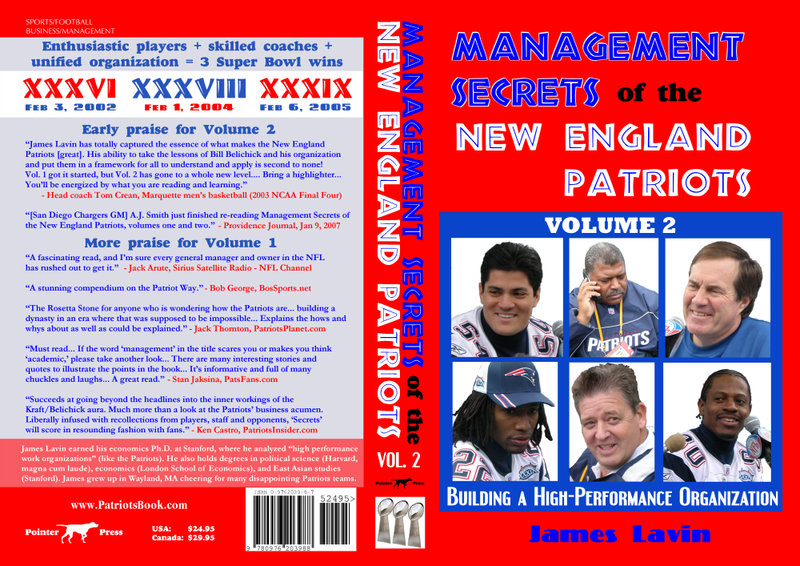 Volume 1 covers the 2000-2003 teams' achievements, teamwork, personnel, mentality, competing and disciplining, and Bill Belichick. Volume 2 ("Building a High-Performance Organization") covers four core topics essential to building any great organization: Training, Planning, Collaborating, and Motivating. 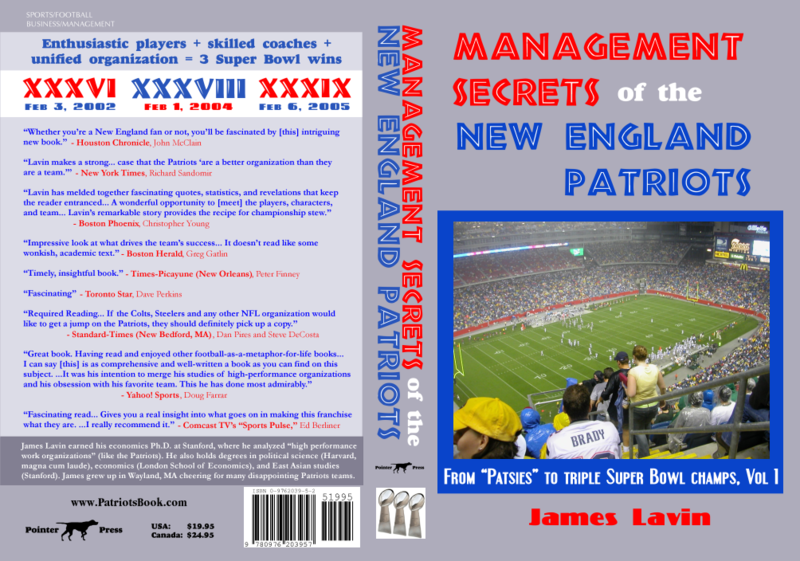 Volume 3 (release date undetermined) will cover: the 2004 and 2005 Patriots (including victory in Super Bowl XXXIX), communicating, game strategizing, marketing and giving, and the team's future. A first draft of Vol. 3 was completed in 2006, but the project has been on hold since then, except for continual gathering of large quantities of fresh material. We have no idea when we will complete Vol. 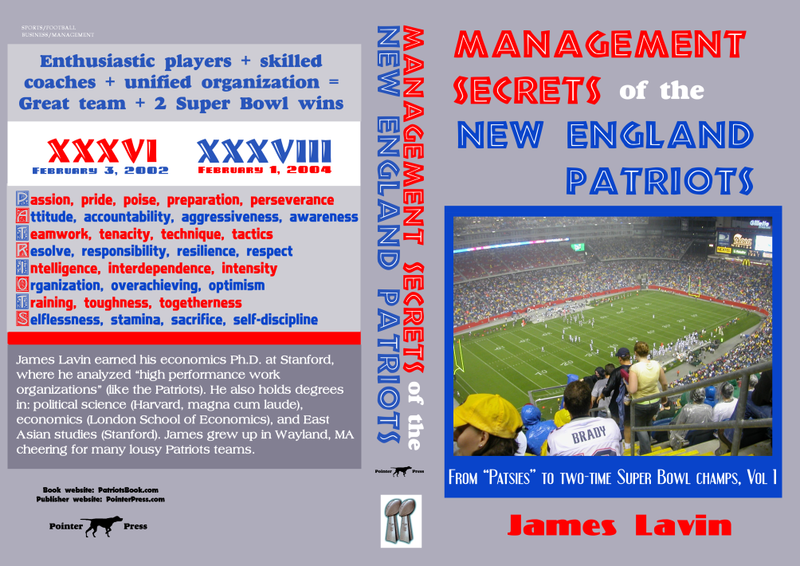 3, but we WILL complete it, and it will provide many new insights into the Patriots.